《唐六典》is a document regarding official systems in the TÁNG Dynasty. It outlines the government structures and their related job descriptions. There is a clear requirement in the chapter of 太卜令 that the Royal Soothsayers have to know the techniques of the Three Ancient Boards, which included Jī Mèn Dùn-Jiǎ, Tài-Yǐ and Liù-Rén, in order to cross-check the prediction. There are ancient archives regarding Tài-Yǐ available today, and yet it is still the most mysterious technique among the Three Ancient Boards. Not because it is difficult to learn, but because there is no update in Tài-Yǐ calendar since the SÒNG Dynasty. 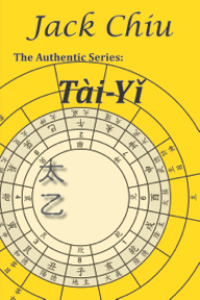 Offers an overview of Tài-Yǐ as a board-based divination technique. Introduces how the Tài-Yǐ calendar is related to the official calendar. Describes those Wǔ-Xíng properties that are mostly applicable in Tài-Yǐ. Describes the Setting processes of the four types of Tài-Yǐ, namely the Year-based, Month-based, Day-Based and DH-Based Tài-Yǐ. Details the reading skills as described in 《太乙金鏡式經》 the Classic of Tài-Yǐ – The Gold Mirror. Highlights the difference between Tài-Yǐ and Liù-Rén using the example given by《太乙金鏡式經》 the Classic of Tài-Yǐ – The Gold Mirror. Comments on the difference of 直使 Duty Messenger between Tài-Yǐ and Jī Mén Dùn-Jiǎ as described in《太乙金鏡式經》 the Classic of Tài-Yǐ – The Gold Mirror. This book is written for people who are interested to comprehend the knowledge the Three Ancient Boards.